Well, that one snuck up on us. That's right, gang! The sequel to 2009's Killing Floor is right on our zombie guts-laden doorstep. As long as you don't mind fooling around with unfinished products, you can jump right into Killing Floor 2 on April 21st via Steam's Early Access program. Priced at $29.99, you can be the first among your friends to learn all the hip new British slang that KF2 is sure to produce. Soon enough, you and five pals will be calling each other "Chavs" and commenting on the free trade ideals of Bertrand Russell, along with blowing the heads, legs, and arms off of thousands of ambling undead. To our knowledge, there has been no mention of a roadmap to full release as of yet. Based on information released in the past few weeks, it seems likely that the game will launch with the four original classes and three maps. This will, of course, be expanded on in the following weeks until the folks at Tripwire feel comfortable with giving their finished product to the ravenous masses. 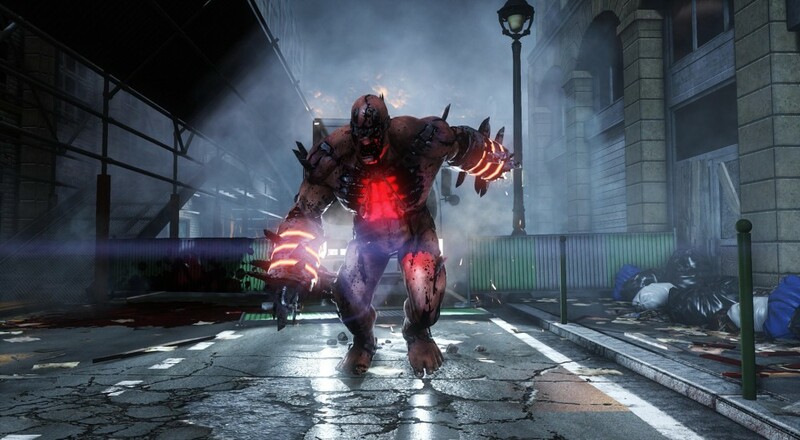 We're incredibly excited to get our hands on any version of Killing Floor 2 and will be providing more detailed coverage upon release. If you're curious about the game and didn't get around to playing the original, be sure to check out the wealth of information on the site, or be on the lookout for us to be streaming it once it's available. Page created in 0.3938 seconds.